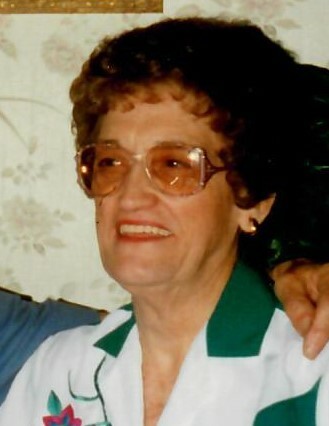 Evelyn Louise Perkins, 89, of Madisonville, KY went home to be with her Lord on Tuesday, March 26, 2019 after a brief stay in Baptist Health Hospital. In her last few years she was a resident of Dawson Springs Health and Rehab Center. Evelyn was born in Earlington, KY on July 24, 1929 to the late Johnny Floyd Hayes and late Pauline Hayes. She was the third child in a family of nine children. On April 19, 1947 Evelyn married Charley Perkins, Jr.. They made their home in Barnesly, KY with three children, five grandchildren, and five great-grandchildren. In the early 1960’s, Evelyn accepted Jesus as her Lord and Savior at the Assembly of God Church in Earlington, KY, and she attended church at First Baptist Church in Morton’s Gap for most of her days. She had worked as a reading aide for the Hopkins County Board of Education. She was active in the PTA, was a Kentucky Colonel, and was active in politics. Evelyn loved cooking, sewing, and canning food. In addition to her parents, Evelyn was preceded in death by her husband, Charley Perkins, Jr. in 2009; by three brothers: Wayne Hayes, Jimmy Hayes, and Johnny Hayes; and by two sisters: Helen Sue Myers and Ada Lee Hayes. She is survived by her children: Linda Sue Littlepage and her husband, Tommy, Tandy Dawn Cook and her husband, Marty, and Charles Dan Perkins, husband of the late Dolly Perkins all of Barnsley, KY; one sister, Jo Ann Ashby of Mortons Gap, KY; two brothers: Kenny Hayes of Madisonville, KY and Bro. Tommy Hayes of Earlington, KY; five grandchildren; five great-grandchildren; and several nieces and nephews. Services to celebrate her life will be held at Reid-Walters Funeral Home in Earlington, KY on Monday, April 1, 2019 at 1:00 pm with Bro. Tommy Hayes officiating, and entombment to follow at Forest Lawn Memorial Gardens Mausoleum in Madisonville, KY.
Pallbearers will be: T. Tommy Littlepage, Tate Littlepage, Thomas Cook, Jake Runkal, Kody Young, and Kenny Hayes. Visitation will be Monday, April 1, 2019 from 8:00am until service time at the funeral home. Condolences may be made online at www.reidwaltersfh.com.